September is NICU awareness month and we’ll be hosting an inspirational pop-up event with H&H Paper Co. on Saturday, September 29th from 11 am – 3 pm. 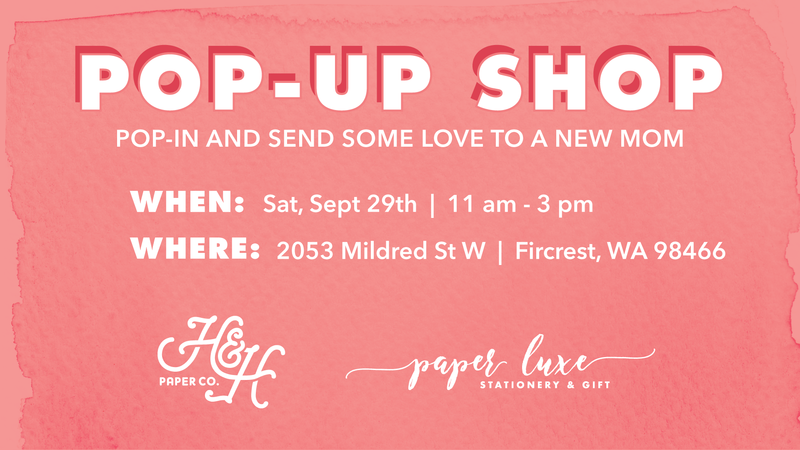 H&H Paper Co. will provide the cards, refreshments and fun – you provide the inspiration! Plus, enter to win a complete pack of ‘New Mom Letters’ and more! Let’s spread the love together!